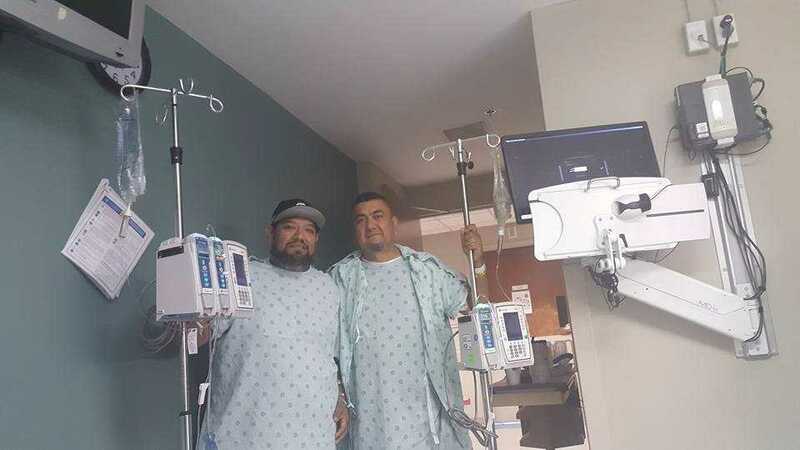 CAMERON, Texas — A man in Texas who suffered with End Stage Renal Disease (ESRD) is expressing thankfulness to God and his pastor, who says that he felt led of God to donate a kidney, not even knowing if he would be a match. Jesse Cerecerez learned in 2015 that his kidneys had failed and was placed on dialysis. The experience, he says, has been difficult, as with ESRD one cannot survive without dialysis or a transplant. However, last year, Cerecerez was surprised when his pastor, Basillio Montez Jr. of Holy Ground Baptist Church in Cameron, knocked on his door and advised that he believed God wanted him to help by donating a kidney. “I was shocked and excited all at once,” he recalled. Even more surprising was the fact that Montez was indeed a match for donorship. Cerecerez received a phone call in May from his transplant coordinator that everything was good to go. Last month, the two underwent successful surgery, and both give glory to God for His hand in the journey. “We praise God for everything that [He] has been doing [and] for the healing that He has been giving us—always for His honor and His glory,” Montez told KCEN-TV. A week after the surgery, Montez returned to church to preach, delivering a message entitled “God Is Faithful to His Promise,” based on Joshua 21:43-45. The GoFundMe page to help cover the medical expenses of the men has raised over $3,000 of the $5,000 goal as of press time.